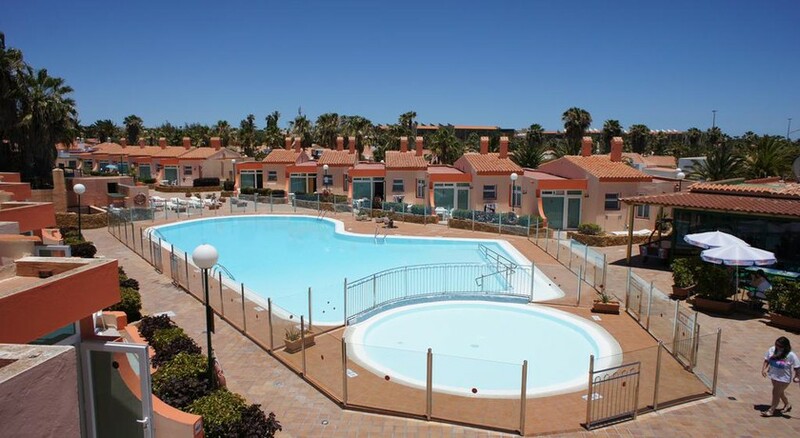 Castillo Playa Bungalows is a complex of bungalows located in a tourist area east of the island of Fuerteventura, a place of pleasant weather and great opportunities for leisure and entertainment by the sea. The proximity to endless beaches of blue waters where you can enjoy outdoor activities such as surfing or sailing makes Caleta de Fuste a quiet and cozy destination. 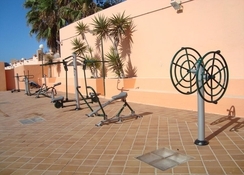 The hotel premises offers large areas for children's recreation, with a playground for children and a children's pool, as well as a sauna and a gym to exercise at any time of the day. Also, Castillo Playa Bungalows has a snack-bar and a swimming pool for adults with solarium area and hammocks. The establishment has comfortable apartments aimed at relaxation and sharing great moments of well-being with the family thanks to a flexible policy and spacious rooms where you can feel at home. Castillo Playa Bungalows is located in one of the most important tourist areas of the island of Fuertenventura, around shopping centers, restaurants and golf courses. It is at the core of scenic interest, popular with family trips and days filled with watersports between large stretches of beach and turquoise blue waters. The town of Puerto del Rosario is 20 minutes away by road, while the island's airport is 7km away. 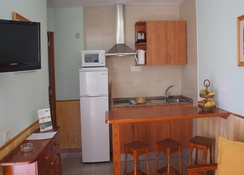 Castillo Playa Bungalows has 80 bungalows fully-equipped and characterized by a cozy and quiet atmosphere. With a capacity of between 2 and 3 people, the apartments have a kitchenette, living room, terrace and private bathroom, as well as amenities such as a telephone, a television and a hire safe. Explore a host of restaurant and bars near the hotel. As a vibrant Canarian town, fresh, fried or roasted fish is one of the most common dishes, often served with gofio (roasted cereal flour). Do not miss the recipes of the succulent meat of baifo (lamb) roast, another of the delicacies of the area. You cannot leave without trying the dish known as wrinkled potatoes that are eaten in any corner of the island of Fuerteventura. They are served in a wide variety of dishes, but surely the most popular is that of sautéed potatoes, roasted or, above all, cooked in water with salt and then accompanied with mojo sauce. The facilities for leisure and relaxation of Castillo Playa Bungalows consist of an adults and a children's pool, a kids’ playground, a solarium area with hammocks, a sauna, a gym, and spaces to enjoy quality time with the family. Services include laundry, Internet connection and ticket sales.